We don’t have hands because we have gloves, we have gloves because we have hands. A simple concept. The Village doesn’t have ponds so you can fish, you get to fish because we have ponds. Another simple concept? Not so much. Not all ponds are created equal. The Village happens to have a series of ponds used to control drainage. And not just Village drainage, but drainage from surrounding areas that naturally flows into the ponds and creeks in the Village. Not coincidentally, each pond has a dam and strategically placed and sized drains which help control the flow of water, especially during wet years with heavy runoff. When there is too much water in the upper pond, the water flows through the drain in that pond and into the creek to the next pond. Once the water in that second pond reaches the drain in that pond, the water flows through that drain and follows the creek to the lower pond by the clubhouse. When water in the clubhouse pond reaches the drain in that pond, which also has a spillway in the dam, the water drains into the creek, through the culverts under Vacation Village Drive, continues flowing through creek beds and culverts in Unit 2 Phase 1 and Unit 4, then under Ellsworth Road, and eventually into Show Low Creek, which runs through the meadow by Hampton Inn. Dams, ponds, drains, creek beds, spillways and culverts work together to send water downstream in a somewhat orderly and semi-well behaved fashion. That’s how the system functions. Why, you might ask, do we have the ponds if Mother Nature, in her wisdom, could and did single-handedly take care of runoff by hurling the gushing storm water into the creek, through the culverts, or over the road and beyond? Because Mother Nature is notoriously unpredictable and violent, running roughshod over everything around her. Or she sits on her lounger eating bonbons while the ponds sit empty. Development alters the landscape. Without control measures, extra water generated by those alterations could contribute to storm water runoff wreaking havoc downstream of the development by carrying extra water, debris, and small furry animals, or sometimes large furry animals, over the river and through the woods. Generally speaking, what development contributes to water flow should be mitigated somewhere, somehow; what goes in, should come out, as though nothing extra went in. The three ponds are mandatory, come rain or shine, their size a clue to what Mother Nature might be capable during her wettest temper tantrum. Simply stated, to minimize flooding and pollution that might end up downstream, a development’s drainage system should be designed to regulate (meter) storm water runoff in such a manner that it moves through the drainage area with no greater flow rate than was present during high water and low water prior to development, regardless of any extra runoff generated by development. And nothing may interfere with or impede that water flow whether it is a beaver colony building a dam or the RSA building a fence. After all, the fellow downstream from a development expects to live in peace and harmony with the water flow to which he or she has become accustomed. 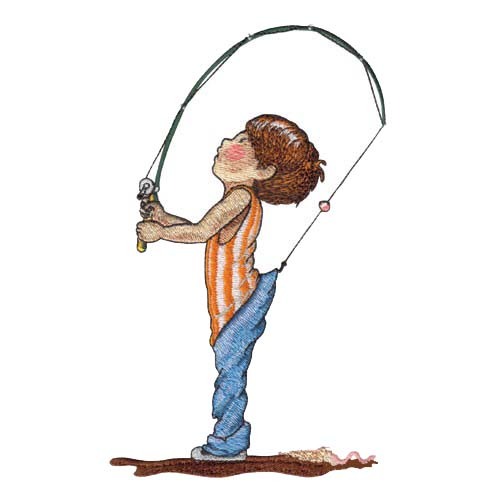 That’s why you get to fish in the pond. A native of Illinois, Sandy Hudgens attended Bradley University in Peoria, Illinois and graduated with a B.S. in Business Education in 1964. She obtained her Master’s degree in education from Western New Mexico University in 1973. After three years teaching in a small town south of Chicago, she and her then husband made the decision to see the West for a few years. They both accepted teaching jobs in Morenci, a small mining town in southeastern Arizona, where they stayed for 36 years. Sandy’s teaching career evolved from teaching typical business courses such as typing, shorthand, and bookkeeping to courses involving computers. She describes it as an interesting evolution and quite a challenge! During her tenure as a teacher at Morenci Junior-Senior High School, she sponsored many extra-curricular activities including the cheerleading and dance squads, yearbook, and National Honor Society. In later years, Sandy also taught computer classes for Eastern Arizona College. After retiring in 2004 and moving to Chandler, AZ, Sandy was reluctant to totally leave education and worked as a substitute teacher in the Chandler School District on and off for ten years. 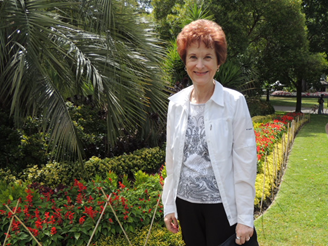 After meeting her partner Don Murray in 2006, a major part of her life involved traveling in Don’s RV and later visiting countries throughout the world. Sandy spends the winter months in Sun Lakes and volunteers as an usher at the Chandler Center for the Arts. She enjoys line dancing, playing Mahjong, and daily early morning walks. In the summer as a member of the Activities Committee, she takes minutes at committee meetings, prepares fliers for events and acts as photographer at those events. Sandy says she has the best of both worlds; beautiful winters in the Valley and cool summers in the Village. Sandy has two daughters living in the Valley, both of whom are teachers. She is the proud “Grams” of a ten-year old grandson and five-year old twins (boy and girl). The Recreational Subdivision Association has an agreement to lease (2007 to 2027) the Festival Area, hiking trails, ponds and exercise stations. In preparation for the eventual transfer of the RSA from developer to residents, the board wanted to have a clear delineation of the boundaries of this area. Any rumors to the contrary notwithstanding, the Festival Area is not going to be sold. 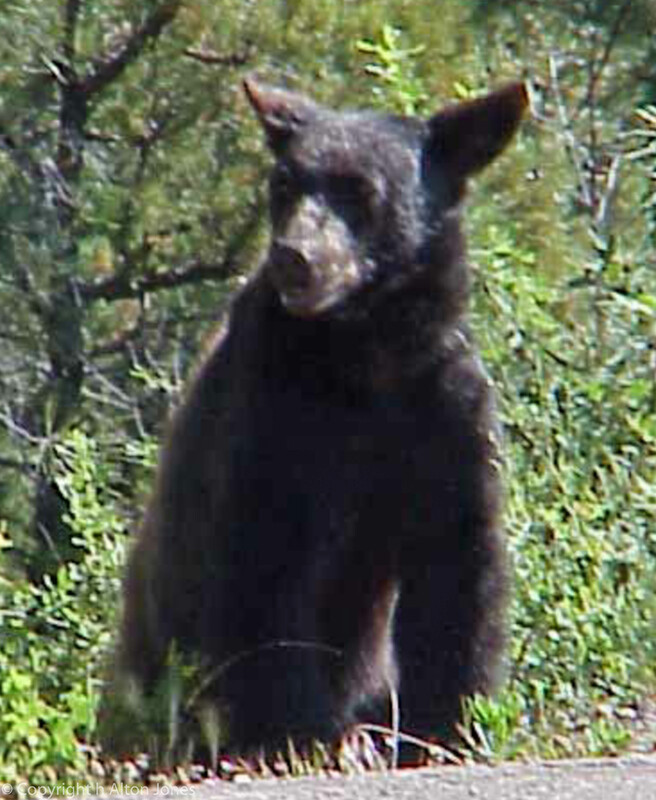 The first time I came face-to-face with a bear, I was hiking behind my house in Show Low. I did something really stupid, but the impulse was so strong, I couldn’t help myself; I ran as fast as I could. I can’t begin to count the experiences I’ve had with bears since then. 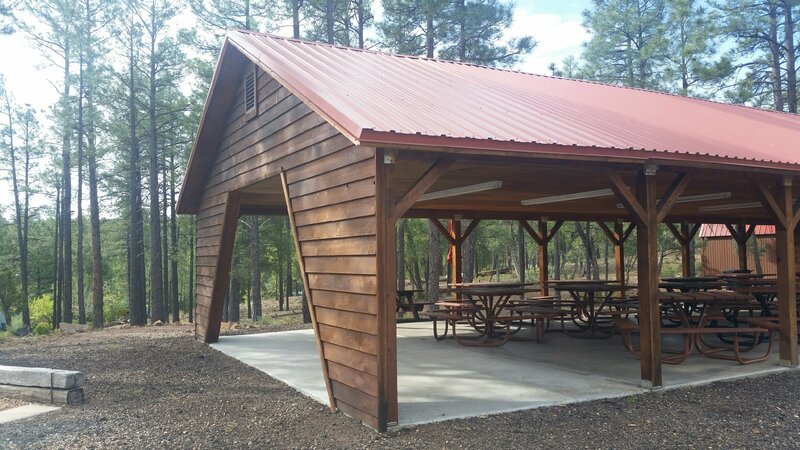 Years ago, Arizona Game and Fish offered a class on bears at Fool Hollow Lake. My husband and I attended hoping to learn more about their habits. The instructor said he had been at his job for over twenty years and had never seen a bear in the wild. I left wondering how much attention he paid to his surroundings. We liked to watch hummingbirds in our backyard. Early one morning I glanced out the window and noticed a large bear swinging from the bungee cord that secured the feeder to the rafter of our deck. Another time, I watched as a bear chased my husband into our garage. Believe me when I say they can run really fast. The only thing that saved my husband was the garage door coming down that momentarily startled the bear. 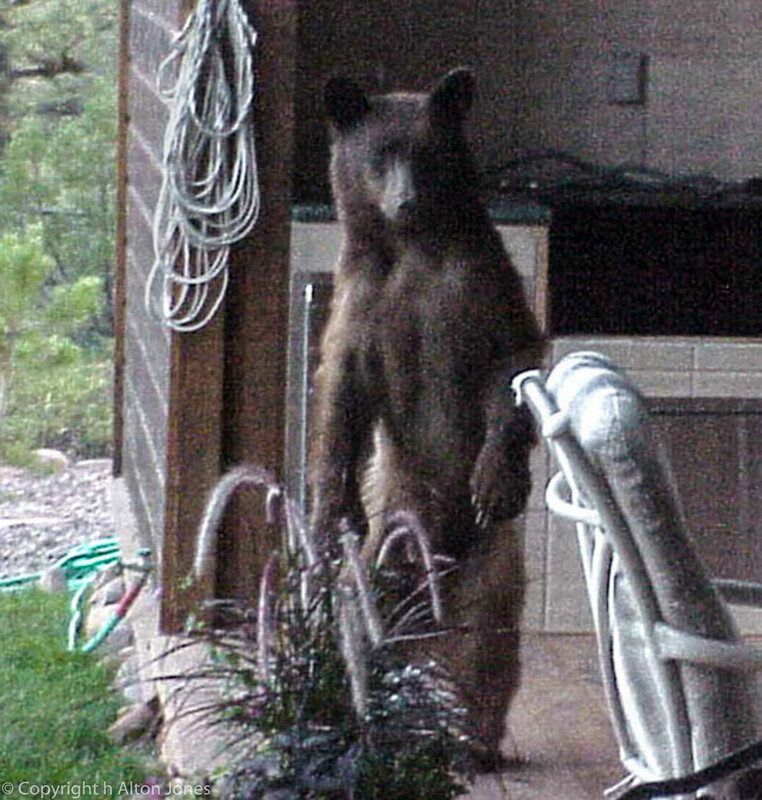 One summer evening, a bear decided he was going to come into our house. He started by standing upright and looking in the window of my husband’s office. We opened the front door and made lots of noise hoping to scare him away. Undeterred, he methodically made his way around the entire house looking into each window. Once was not enough and he circled again. We called Game and Fish. They told us they were not able to come out right then (something about it being almost midnight) and to call the police. They were busy as well. The next morning, the bear was still holding us hostage in our home so the police decided to send the SWAT team. When the bear snuck up behind one of the officers, he jumped into his car mumbling something about not being paid enough to do this and drove away. Game and Fish brought a bear trap baited with raw meat and parked it in our driveway for a few days. The bear took the bait and the trap door slammed shut. Did you know that the noises of an angry bear sound distressingly human-like? The bear was tagged and released about ninety miles away. In less than a week, he was back. He was tagged in the other ear and hauled away again in the opposite direction. The next time it returned, it was euthanized. This broke my heart and I realized the truth to the saying “A fed bear is a dead bear”. The chow came from seemingly innocent sources; easy access to garbage cans, bird feeders and pet food. 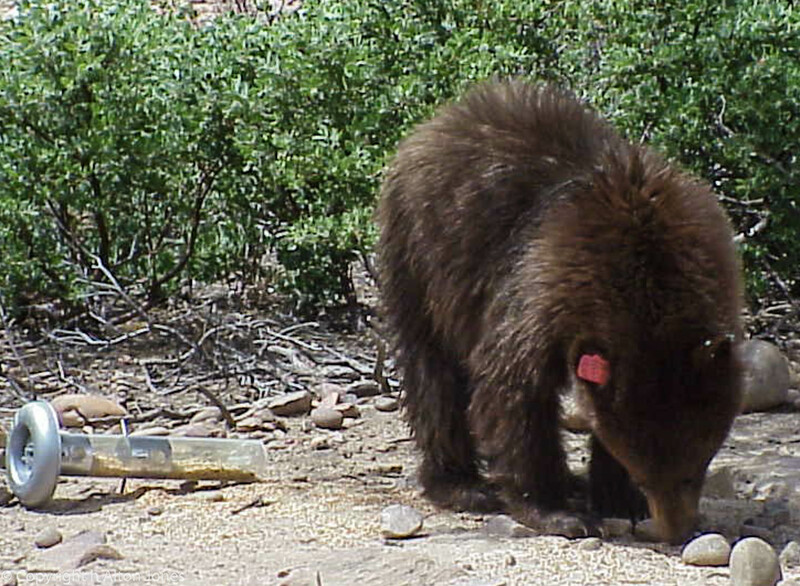 Here are some helpful tips from the Arizona Game and Fish website regarding bears. Alter your route to avoid a bear in the distance. Make yourself as large and imposing as possible if the bear continues to approach. Stand upright and wave your arms, jacket or other items. Make loud noises, such as yelling, whistles, and banging pots and pans. If a bear is in your yard, scare it away from inside the house, keeping the door closed. Don’t feed or give water to black bears. Be aware that human behaviors, such as feeding other animals, can attract black bears. Feed your pets inside or remove uneaten pet food between feedings. Remove garbage regularly or keep in secure buildings. Remove other enticing food sources, such as birdseed, hummingbird feed (sweet liquid), fruit from trees or shrubs located near buildings. Fences, lighting and dogs have not been found to be effective, long-term deterrents. If you notice the dumpster lid is open, take a moment to close it. Easy access to food is the primary reason you will find a bear lingering in the Village. Stay safe and enjoy your summer. We live in a world that revolves around itself. I have gained valuable insight over the past 13 years of working in the Association Management industry. I have learned that it takes a conscious effort to build relationships and Community. I have learned that babies cry, dogs bark, people fight and machines make noise. I have learned that people are not black and white, but gray. I have learned that people need to be heard, but more importantly, understood. I have learned that compassion gives a voice to those that do not feel heard. I have learned that perception is more important than reality and that taking the time to listen and educate bridges the gap between those two concepts. I found it a blessing, and an honor, to be given an opportunity, on a daily basis, to touch the lives of so many people and to hopefully be a positive force in their lives, even in the smallest of ways. Nice things are happening at the Village. The pavilion finally received its long-anticipated cover. It can now be used rain or shine and even at night because it has lights. A new and bigger grill is in place. A decision was made to locate the “old” grill on top of the hill behind the clubhouse. There is a little trail and picnic tables in that area. Residents who do not own a grill might want to take advantage of it.You will find it there soon. If it is used enough this year, we can either pour a concrete pad for it or put it on pavers. You will need to provide your own propane. Enjoy your summer in the cool mountains.